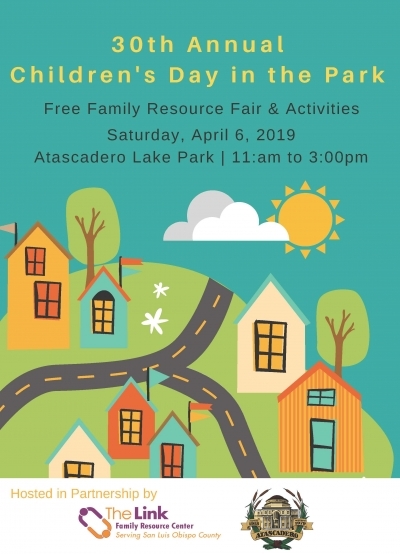 11am-3pm at the Atascadero Lake Park... as part of Month of the Child & Child Abuse Prevention Month. The even is sponsored in partnership with the City of Atascadero and the LINK Family Resource Center. Games and activities, food plus local resources and programs available to support children and families.